This article has been supported by Express Insurance - a company which has been providing car, van and bike insurance for over 30 years. Check out their website here. Fernando Alonso and Kimi Raikkonen could be said to be F1's equivalent of Robert De Niro and Al Pacino. The two are to a large extent co-existent, almost synonymous. In Kimi and Fernando's case having karted together both made their F1 debut in the very same Grand Prix, and come 2003 were together identified firmly as the leaders of the sport's next generation (see this from the cover of F1 Racing that same year). And indeed both since have developed formidable reputations at the very pinnacle of the sport, and became world champions along the way. Yet just like De Niro and Pacino somehow for years they avoided a direct face-off. 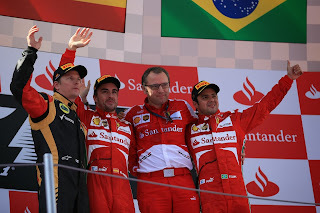 This is despite a few near misses: as De Niro and Pacino both starred in The Godfather Part II, and yet thanks to series of shifts between different periods of history never appeared in the same scene, twice Alonso has signed for a new team with the potential of partnering Raikkonen and twice it didn't happen. At McLaren Kimi was busy making his own arrangements to join Ferrari instead; at Ferrari the Scuderia faced with a three-into-two-doesn't-go situation chose to stick with Felipe Massa and drop the Finn. Next year, following years of waiting and anticipation during which time many had reached the conclusion that it would never happen, at Ferrari we'll have F1's equivalent of Heat's sit-down scene in the diner. The two titans will at last will cross paths. And, of course, most haven't been able to resist fast forwarding to the final scene of the flick; many foresee carnage. After all, they think they've seen a similar film before, in 2007 when Alonso was at McLaren, and many are referring to it copiously. Then, they say, Alonso couldn't handle having a competitive team mate in the shape of Lewis Hamilton, and threw the dummy. It'll happen again next year alongside Kimi too they say, and all the while the impervious Finn will simply get on with it and as a consequence will get on top. Thus Alonso will really regret his public wooing of Red Bull, which apparently forced Ferrari's hand in snapping up Raikkonen, and may even leave the team ahead of time, under a cloud. Indeed it's all starting now they say, he's clearly not happy at his team's decision on the identity of his stable mate, and the strain more generally between driver and team has been showing in recent weeks. Looking around the views expressed on social media some moreover are apparently by-passing all of this and think Kimi will get on top simply by being better, and quicker. I can't help but think such expectations and assessments as outlined may prove to be to a large extent premature however. Are things as simple as are being spelled out? Will history necessarily repeat itself? Are there reasons to think that the comparison with the past is not a perfect one, and therefore we'll see a very different outcome this time? We know that Kimi is popular, but perhaps some are guilty of getting overexcited. Perhaps others are guilty of rather knee-jerk thinking, painting their interpretation of the past with a broad brush rather than worrying about the detail. Many it seems aren't basing their assumptions on very much that is solid, rather like in the days of the Cold War wherein in the absence of much or any direct information western experts would try to interpret what was going on in the USSR hierarchy from things such as who sat where at party events and how Pravda spoke of them. It is the best most of us have but needless to say it isn't always reliable. My personal favourite in this ilk was this by Paul Weaver in the Guardian, which manages to base an entire article asserting that Alonso isn't happy with Raikkonen's recruitment solely on an unattributed team principal saying 'Fernando looks unhappy'. Quite why this team principal offers particular insight into Alonso's mindset isn't explained. Others it seems are determined to find problems, given presumably they started with the predisposition that there will be some. A few days ago Ferrari President Luca Montezemolo spoke of his new recruit Raikkonen, comparing his F1 comeback to the famous Niki Lauda comeback of a previous generation, and in so doing noted that Lauda indeed won a world championship in his 'second' F1 career. Despite it being a highly abstract reference in which he didn't mention Alonso, and barely mentioned Kimi for that matter, plenty ran banner headlines in response stating 'Montezemolo says Raikkonen can beat Alonso'. The leap required between Montezemolo's actual words and the sensationalist headline can only be described as heroic. 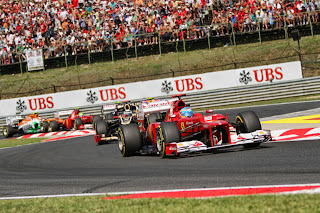 But moreover the expectations outlined above seem to reckon without Alonso himself. Let's not forget that he's spent most of the past few years establishing himself to be, by common consensus, the best and most complete competitor in contemporary F1. Many drivers, including Lewis Hamilton, rate him so, as do plenty of team principals. It's hard to imagine that this is simply the result of a confidence trick. And recently Massa - in a unique position to judge - described Alonso even as 'even more perfect' than the lauded Michael Schumacher. Of course, you could say that Massa would say that, given the general competitive order of things in his time paired with the Spaniard. But having watched the interview wherein he said it I didn't get the impression that he was indulging in desperate self-justification. His tone and demeanour instead were sober, reflective. Whatever is the case it doesn't seem at all credible to expect that, as things stand, Raikkonen will turn up at the Maranello front door and simply blow Alonso away. Such perceptions that it'll all go horribly wrong for Alonso and that Raikkonen will get the upper hand indeed put me in mind of the words of the United States naval fighter John Paul Jones: upon receiving a taunt from a British sailor about his supposed surrender his legendary retort was 'I have not yet begun to fight'. Of course Kimi on current form will for Alonso represent a much tougher intra-team foe than he's faced at any point of his F1 career, Hamilton aside. 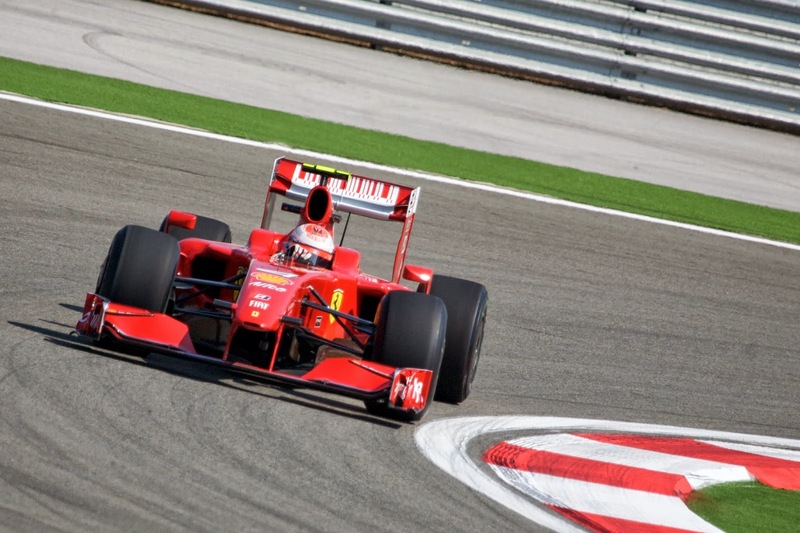 Kimi, via his status as world champion if nothing else, will claim a larger slice of the Ferrari pie than Massa has ever done in Alonso's time there. And the Finn comes fresh from a spell at Lotus wherein arguably more has been got out of him than at any other point of his F1 career, certainly in terms of consistency as the mysterious off weekends that we used to see in his McLaren and Ferrari days have been kept to a minimum. There will of course be days in the Alonso-Raikkonen pair-up that Raikkonen will be on top, as he's too good for that not to happen. But I struggle to envisage it happening with regularity, for a number of reasons. I therefore also struggle to see Alonso being shaken too far down from the highest branch of the Ferrari tree on which he current resides. difficult 2007 will be repeated? In my view there are problems also with working on the assumption - as many seem to be judging by the column inches devoted to the subject - that Alonso's harrowing 2007 campaign at McLaren will inevitably repeat itself. One is, doing so assumes complete knowledge of what actually happened in 2007; we've never properly heard Alonso's side of that story (and there are two sides to every story, after all) and even now it is often intimated by those close to hand that things weren't quite as simple as is often portrayed. Plus there are differences in the detail: then Alonso was new to the McLaren team, and was pairing up with someone who'd been there since the age of 13 and clearly held a special place in the team's affections (Juan Pablo Montoya then recently ex of McLaren commented a while later that he feared in advance that Alonso was on a hiding to nothing going into that situation). Now, the boot is on the other foot, given that Alonso even after some recent strain still has his feet resolutely under the Maranello table. 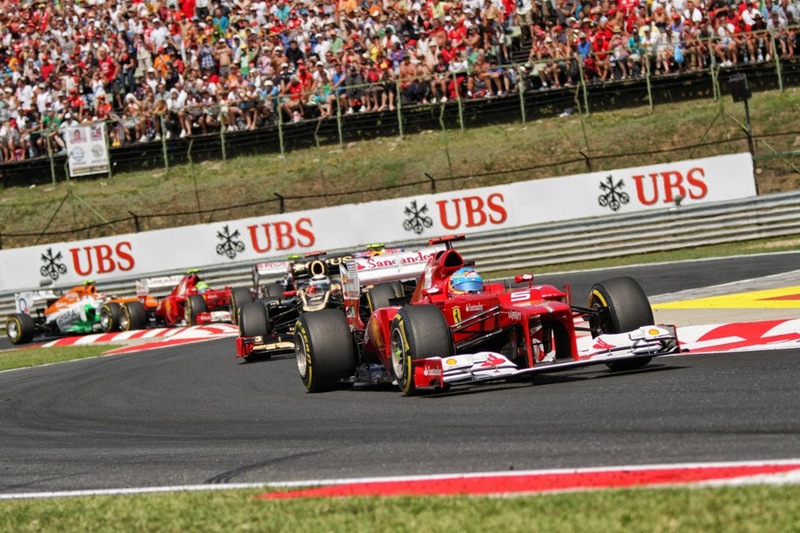 That the team was still enacting team orders to his benefit in Monza told us that. The Monza podium reception didn't suggest he's lost any affection among the tifosi either. 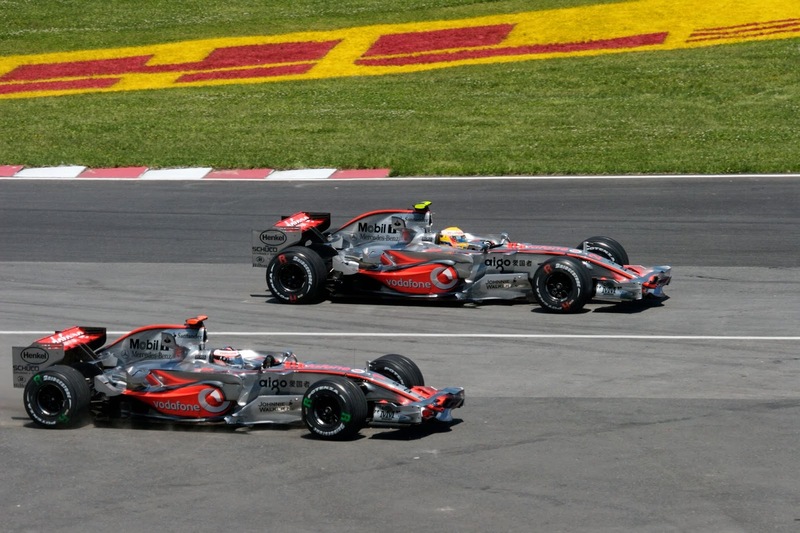 In 2007 Hamilton further, as a debutant, had a surprise element that did nothing for Alonso's equilibrium that whatever happens won't be the case with Raikkonen. And even if we are to assume that the worst of what is claimed actually happened is to repeat itself it is necessary to assume that Alonso has learned nothing in the last seven years. Which I find hard to believe. And remember that even in 2007 which by common consensus was Alonso's worst year in F1 by a distance (and possibly was, even now, Hamilton's best), in which he made lots of errors and his relationship with his team's hierarchy had almost totally collapsed before the season's end, he still equalled Hamilton's points total and would have been world champion himself with just two points more. We can infer from this that even Alonso at his worst is not easily defeated. But is our focus in the wrong place? With echoes of John F Kennedy should we ask not how will Fernando cope with Kimi, rather ask how will Kimi cope with Fernando? After all, just as Fernando does Kimi has a previous that may not bode well for him, and could have greater parallels with the situation he'll be in next year than Alonso's previous does. For much of 2008 and 2009, when he wasn't the focal point of the Ferrari team Kimi appeared to get subdued. His drives developed a detached quality, like he was phoning them in. Sometimes sending them in by messenger pigeon. Suddenly, when the results dried up what were usually considered virtues in his make-up - his impassiveness, inscrutability, the po-faced devil-may-care persona - became vices. The relationship was forcibly ended by the team a year ahead of time. Of course, just as for Alonso history won't necessarily repeat itself for Raikkonen, and people can always change, but it's odd that only for one of them is the past widely being said to be a millstone. Last time it wasn't all that Raikkonen had become slow, rather that the car wasn't handling to his liking, and for whatever reason he wasn't able to get his point across on this effectively until the aftermath of Massa's accident in Hungary. 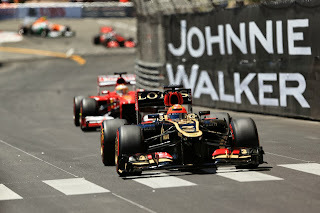 This time, with Alonso presumably making a lot of noise to attract attention to himself, can Raikkonen avoid similar? And it may be here that we have the biggest difference between Alonso and Raikkonen in their Ferrari face-off next year, as well as the biggest departure from 2007 at McLaren. In debates about Kimi one has usually to cut through the various observers' constructions related to the 'iceman' image and try to deal only with fact. But still, that Kimi's modus operandi is to stick to the essentials, to rarely go the extra mile in terms of spending evenings with the team poring over data or volunteering for work in simulators, cannot be denied. Giving Alonso something of a free run - something he emphatically didn't have in 2007, given everything - in terms of showing his face for the team, as well as getting the myriad incremental gains that come from it including setting the car's development direction, doesn't sound like the best way of beating him. To do it in a year of radical technical changes multiplies the effect. And at Ferrari especially, showing you care is something quite far up the list of priorities; not for nothing it's the expressive drivers - Tazio Nuvolari, Gilles Villeneuve, Nigel Mansell, even Alonso himself - who have got the most affection at the Scuderia. Come next year, will we get used to Alonso being ahead? And perhaps a further impediment to Kimi in this particular battle is that his strengths and (relative) weaknesses seem similar to Alonso's, therefore his opportunities to get on top of Alonso in a certain area, and to get under his skin potentially as a result, appear rather limited. In Kimi's case, just as with Alonso his race pace cannot be called into question, but these days his one lap pace in Q3, while not bad, isn't perhaps quite on the level of a Vettel or Hamilton (Kimi's demon qualifying laps of 2005 seem curiously in the past). Therefore, Alonso may have less to worry about in terms of a team mate who will routinely start ahead of him and will leave him facing the vexed question of how to get ahead of him in the race in equal cars. Add in that Alonso's aggression is much greater than Kimi's in the opening laps of a race, and that after a lap or two he could often be two or three places ahead of the Finn. Reversing that deficit with the same machinery wouldn't be at all easy. Not for nothing at least one figure who has worked with both Raikkonen and Alonso closely has predicted that, as things stand, Alonso will get on top comfortably. Those expecting different may be yet proved right, as after all no one can say with certainty what lays ahead in anything. We need of course also to add the rider that next year the turbo engines with greater torque will alter required driving styles, so the order of who's quick and who's less so could shuffle. But it's hard to ascertain where the confidence in Kimi's preponderance comes from. To return to the Pacino/De Niro scene in Heat mentioned above, I wonder if, especially with the years of anticipation, the event itself of the two finally coming together will leave us with a vague sense of 'was that it? ', given that it was almost absurdly low key compared with the brouhaha expected. And equally I wonder if it will be those now backing Raikkonen to prevail who will be heaving particularly large surges of disappointment. As always, please let me know what you think via the comments below.